Finding a qualified translator is not so easy. To make a quality translation a translator must understand the translation area and also have a perfect command of the target language, know peculiarities of terms used and even take into account cultural implications. That is why we employ only native speakers who are able to adapt texts correctly to the realities in the relevant country. To translate into native language is always much easier, that is why we offer work to translators form different countries of the world. Quite often we translate large texts. In this case, a team of translators works on the project. To ensure vocabulary consistency and unified terminology, we use translation memory systems. The vocabulary is entered into the system and all the translators in the project use it. After translation, the text is proofread and corrected, if required. Poor translation by incompetent translators is something absolutely unacceptable to our company. 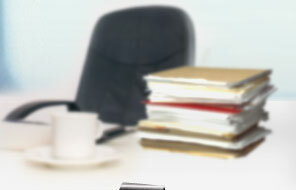 Inter-Text Translation Agency provides translation, interpretation and legalization of the translated documents.